Cheney was established back in the late 1800s, and ties to education, agriculture and rail are what helped the town become what it is. Cheney is mostly known as a college town, since it’s home to Eastern Washington University – but there’s also a huge military population here, since it’s only 7 miles from Fairchild Air Force Base. It’s about a 15 minute drive from Cheney to downtown Spokane, giving way for homeowners looking for a lower than average cost of living and to be surrounded by unique landscape. Nearby is the Turnbull National Wildlife Refuge, which is 18,000 acres of wildlife and fascinating geology, providing opportunities such as hiking, photography, hunting and fishing. Top restaurant: Rokkos Teriyaki. When my husband was going to EWU, it was a must-stop place for us, serving up awesome teriyaki with – if you ask my husband – even better spicy macaroni salad. Top activity: There are two this week, depending on the season. In the summer you have to head to the Cheney Rodeo. This 50-year-old tradition is always the second weekend in July. In the fall and winter, Eagle football games are where it’s at. The team has been on a roll for the past 7, 8 years and it’s always a fun time at Roos Field. Top coffee shop: The Mason Jar. This bakery is in downtown Cheney, a block down from Rokko’s. They serve up awesome cups of coffee with wonderful, handmade baked goods – using ingredients from local farms. The two elementary schools that students in the are usually head to are: Betz or Salnave…then kids head to Cheney Middle School and then on to Cheney High School. Click below to find out the statistics on those schools. 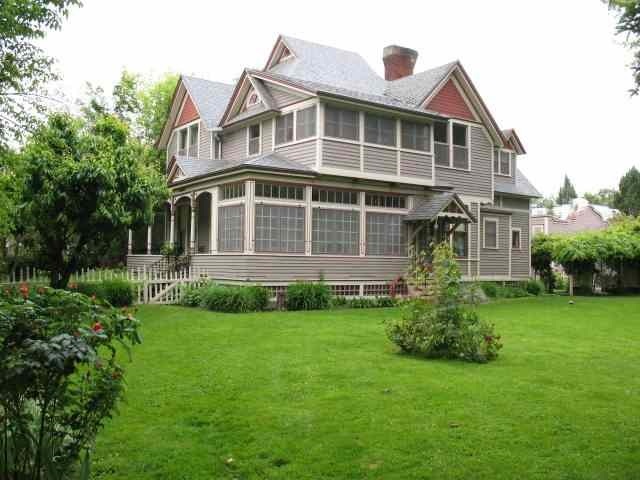 This gorgeous Victorian house is 2,212 square feet, with 4 bedrooms and 2.5 bath. It’s right against a sports complex, giving lots of space and room to play! It’s listed at $264,500. 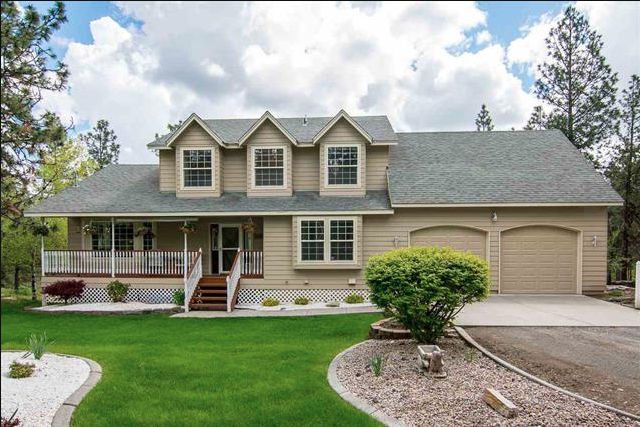 This spacious 2-story home sits on 5 acres. It boasts 5 bedrooms, 4 baths and is 3,900 square feet, with full in-law set up. The deck in the backyard is 700 square feet, giving way for lots of space to entertain. 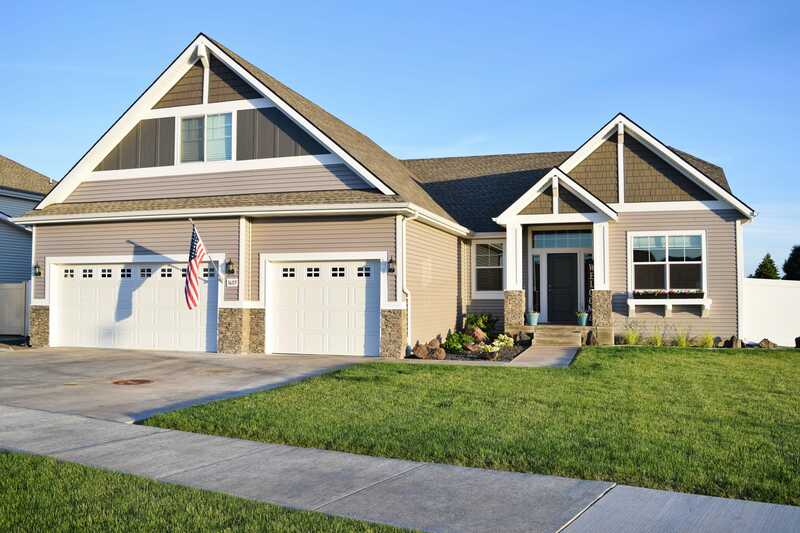 The Eagle Ridge neighborhood is one of the newest in Spokane, with gorgeous new homes close to Spokane. It’s peaceful without being remote. 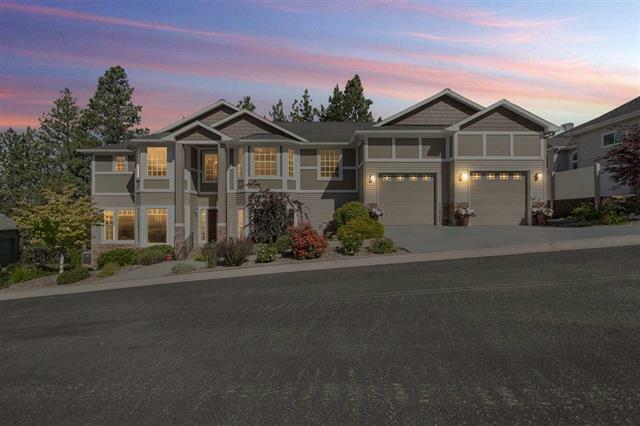 Eagle Ridge is only five miles from Spokane – but still so close to nature. There’s more than five miles of paved trails in the area, and about 150 acres of forested and preserved land. This neighborhood has absolutely boomed in the last 5 years. Top restaurant goes to the amazing Chaps. What started as a little farmhouse has been transformed into one of the best places to get breakfast in Spokane. It’s been featured on Diner’s Drive-ins and Dives as one of the best restaurants in the nation – and Guy Fieri doesn’t travel just anywhere! It’s a great place for brunch on the weekend – and don’t forget to try their famous blueberry french toast: basically a slice of delicious blueberry muffin cake topped with blueberry sauce and blueberry cream cheese. After eating all that delicious food, you can work it off at the Eagle Ridge Short Course. There are two courses here: your typically par 3 golf course and a par 3 foot golf course…essentially golf with a soccer ball! Okay this might be cheating, but the top coffee shop goes to Chaps too! The restaurant’s full name is actually Chap’s Coffee Company…so you know the coffee is good, too! Just make sure to get a pastry, too…and thank me later. 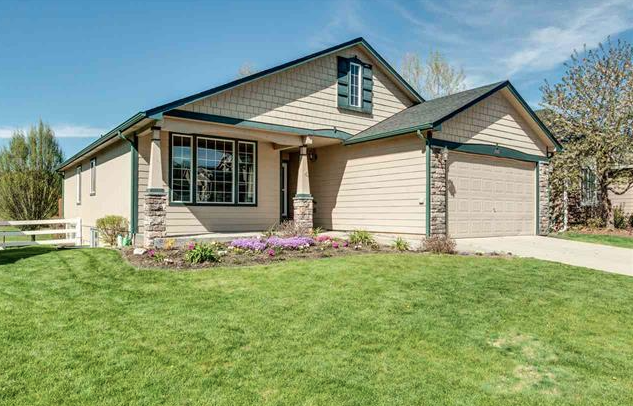 This super cute rancher has a great view of the golf course and features a desirable open floor plan. This house boasts 3 bedrooms, 3 bathrooms and a full walkout, daylight basement and goes for $287,000. This custom, modern home is breathtaking. It sits on 12 acres, offering so much privacy. Imported Italian tile to custom light fixtures and cabinetry, this 5 bedroom, 4 bath home goes for $739,900. Known for – big surprise here – its gorgeous lake and waterfront properties, Liberty Lake is right on the Idaho border and home to about 8,000 people. Liberty Lake was officially incorporated back in 2001. There are plenty of houses along the lake that were built in the 70s, but a majority of homes in the Liberty Lake area were built in the 90s and early 2000s. Homes are still going up, with lots of new construction happening now. 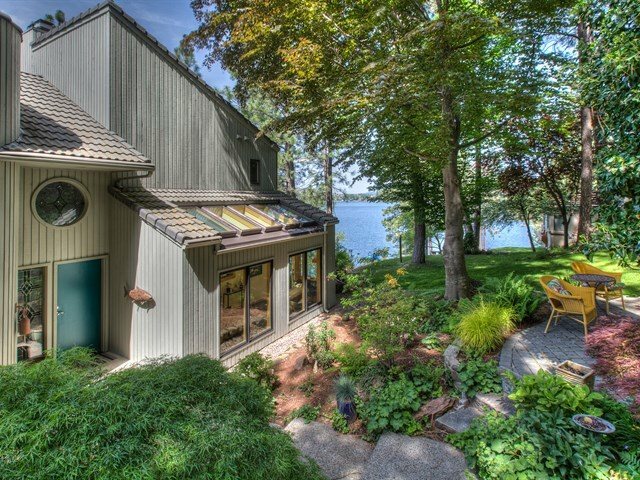 Homes on the lake range from about $300,000 to a $1.5 million+. If you’re hoping to live on the lake, without having a long commute, Liberty Lake is ideal. It’s only about a 20 minute drive to downtown Spokane. Top restaurant goes to Hay J’s…hands down. They serve up American fare, featuring seafood and beef. Their seafood chowder is phenomenal! And top activity? That goes to Mica Moon Zip Tours. This 2 and a half hour activity starts at the reception area in downtown Liberty Lake. Then you take a shuttle about 15 minutes away to property on Mica Peak, where you’ll ride a UTV, go on two hikes and 8 zip lines. You’ll go through forest glens, across a valley, over a stream, and near moonshine camps where “Mica Moon” moonshine was produced during prohibition. Top coffee shop goes to The Well coffeehouse and pub. They feature live music at times and make a mean espresso. 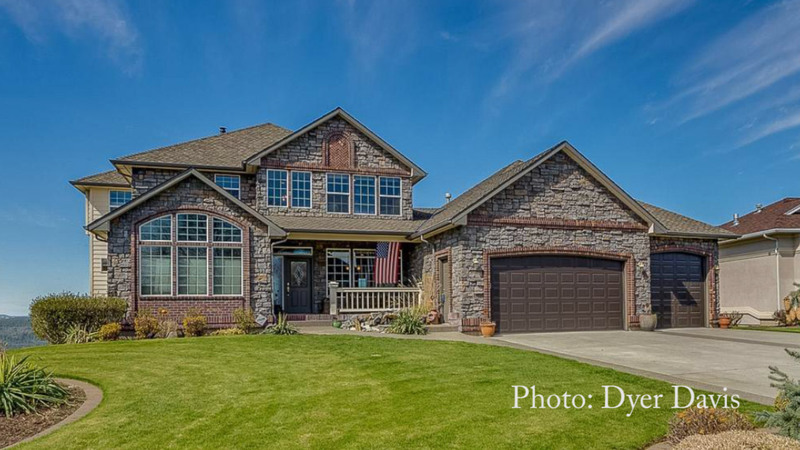 I mean really…does it get much better than this gorgeous 4,200 square foot home!? 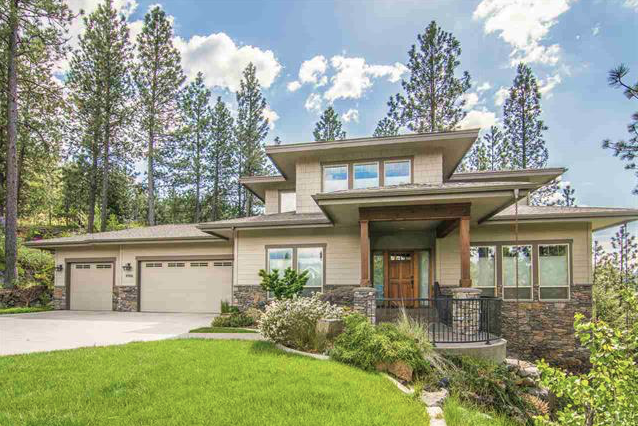 This breathtaking home nestled on the hillside overlooks Liberty Lake and Mica Peak. It’s a 4 bedroom, 4 bathroom home that includes 100+ feet of prime waterfront…because what good is a lake if you can’t play in it!? Another highlight of Liberty Lake (besides the water) is the immaculate Liberty Lake Golf Course. This impressive home sits right on the 16th hole of the course and is outfitted with floor-to-ceiling windows. The home is almost 4,000 square feet with 4 bedrooms and 4 bathrooms. You won’t miss out on the view of the lake though: both decks have peek-a-boo views of the lake. In the last 5 to 10 years, this South Hill neighborhood has become one of Spokane’s hippest, featuring hot restaurants and trendy retailers. This neighborhood was born, if you will, back in the 1920s. But about ten years ago it was given a facelift from the city with new streets and sidewalks. Like a domino effect, multiple new businesses set up shop in the South Perry District, bringing life again to the neighborhood. Homes in this neighborhood are mostly Craftsman and Victorian-styles, and typically between 15-hundred and 2-thousand square feet…built in the early 1900s. Okay, top restaurant was hard to choose this week… so there are two winners. First, goes to South Perry Pizza: home to some of the best pizza in Spokane. This popular lunch and dinner spot is actually in an old laudromat. And the second winner, is Casper Fry (Public House & Eatery), serving up true southern food in the old Altamont Pharmacy building. Top activity this week goes to the South Perry Street Fair. Perry street from 9th to 12th Avenues are blocked off and filled with vendors, food and music. It’s held the third Saturday in July every year, MEANING… the 18th annual South Perry Street Fair is tomorrow! I have more info on it in my blog, if you’d like to check it out. And top coffee shop goes to The Shop. This neighborhood coffee shop features craft beer, live music and a fun outdoor patio. Kids living in the South Petty District typically head to Grant Elementary, Sacajawea Middle and Lewis and Clark High School. Click below to find more information about those schools. 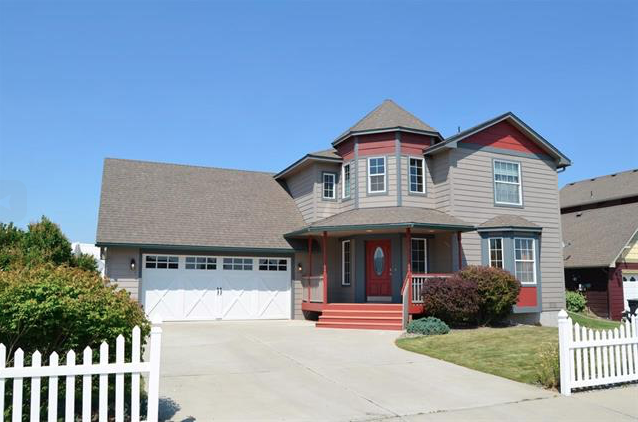 This home on South Denver Street would be a perfect starter home! It’s an adorable 3 bedroom, 1 bathroom Bungalow with 1,500 square feet for less than $150,000. 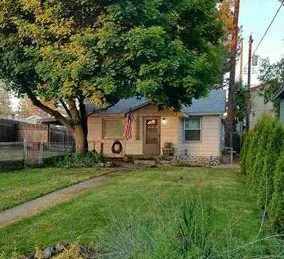 This picturesque Craftsman on the 1500 block of 12th Avenue is on the market for $199,900. It also has 3 bedrooms and 1 bathroom, but comes with a whopping 2,500 square feet.